Inada Dreamwave Full Body Massage Chair equipped with 3D body scan, S-Track design, back & seat heat, back vibration massage, body stretcha and lot of other options. Made in Japan. 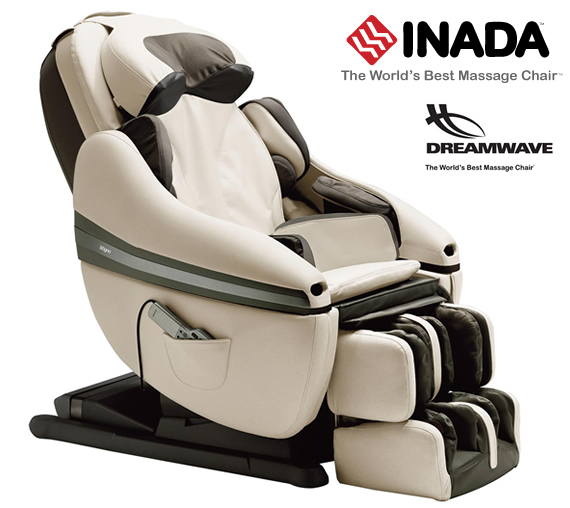 Designed after multiple years of research and testing, and with the efficient collaboration between skilful Japanese engineers and experts in Oriental massage, Inada Dreamwave can indeed offer you the massage of your dreams, so no other name could have been more appropriate than “sogno”, the Italian word for dream. 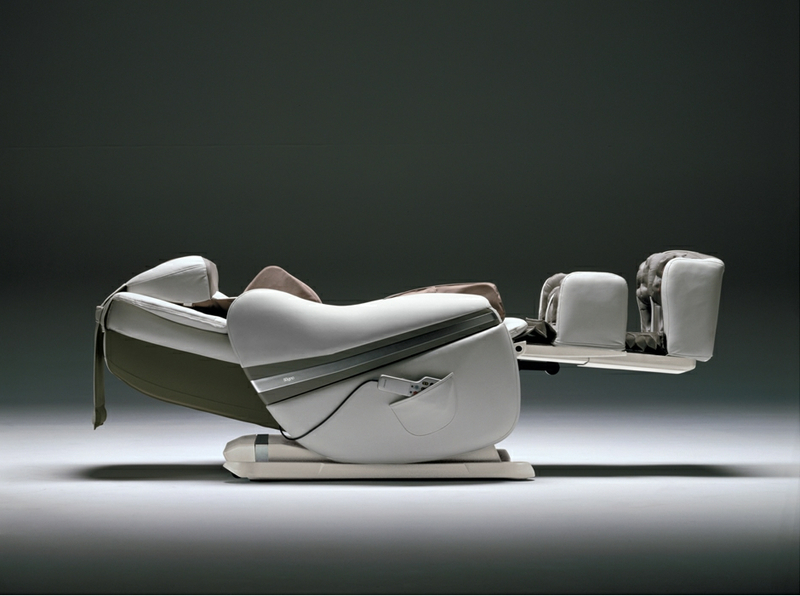 Inada DreamWave redefines the concept of massage chairs by combining ancient oriental therapeutic methods with modern design. Providing an extended massage area and offering a large variety of carefully designed automatic programs, this model guarantees full relaxation and a strong therapeutic effect. 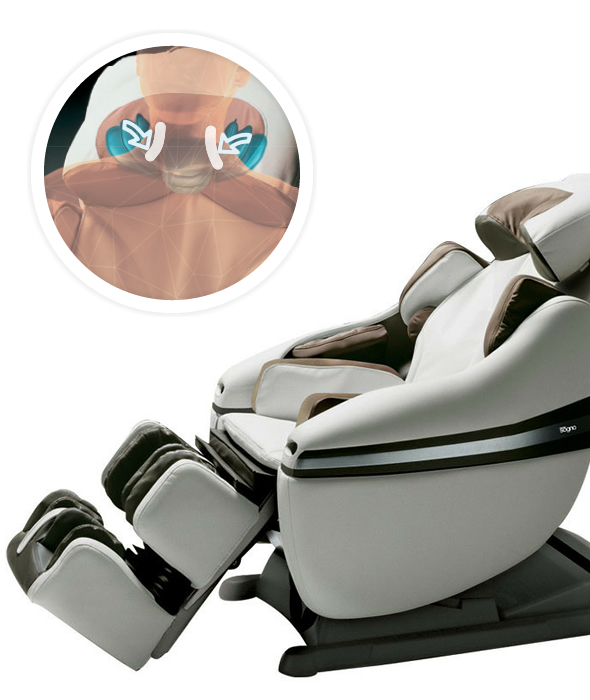 The Shiatsu stretching-kneading airbag system represents the first function in the industry that combines neck and shoulder massage. 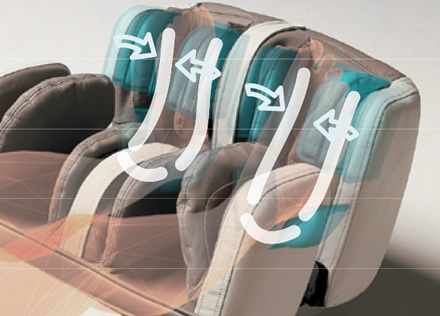 The system pulls the neck from both sides and then the headrest airbags apply direct pressure on Shiatsu points. This action is meant to remove muscle stiffness resulted from lack of exercise or sitting in the same position for a long period of time. 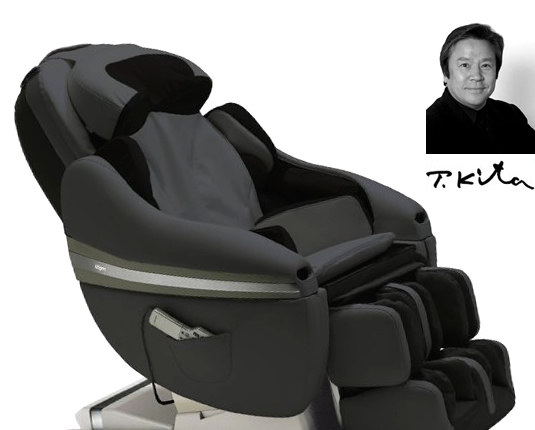 This massage chair is provided with the first air pressure massage unit for the whole arm in the industry. 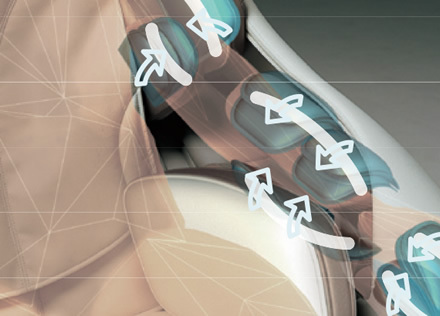 Twenty airbags massage the upper part of the arm, the forearm and the fingertips. This makes for a complete kneading massage, from the joint of your shoulder to the tip of your finger. Experience a delicate massage fit for your body shape, by placing your arms and shoulder in the designed mobile units that can be adjusted to the sides. A new level of stretching. 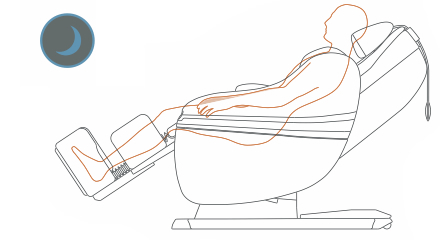 This massage chair offers a stretching program for muscles that are usually less used. This function stretches the body by bending the upper back, creating a similar sensation to full body stretching. This new program is destined for young people (14 and over). The reclining angle sets up automatically to remove muscle stiffness and allow young people to recover after daily fatigue. This massage programme is less intense, providing a delicate sensation in order to reduce the stress which young bodies are subjected to. 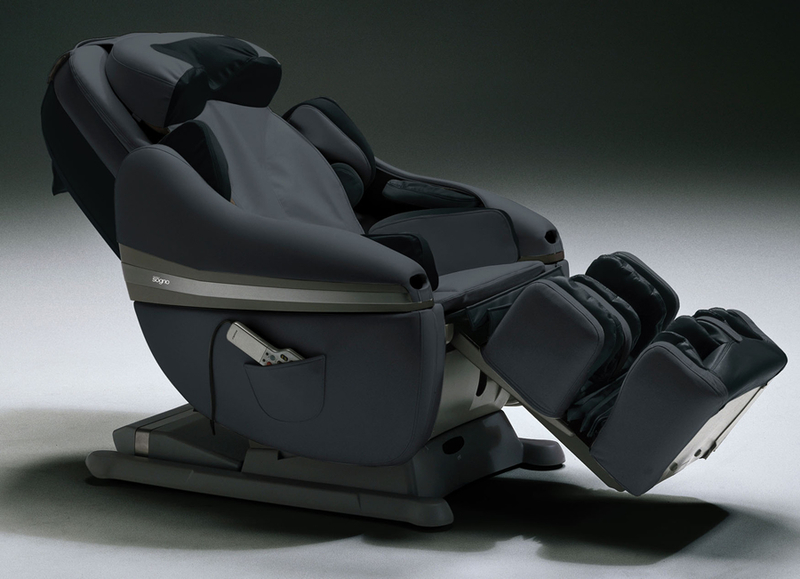 Equipped with an air pressure system for neck and shoulders, the Inada massage chair offers you the comfort you expect. 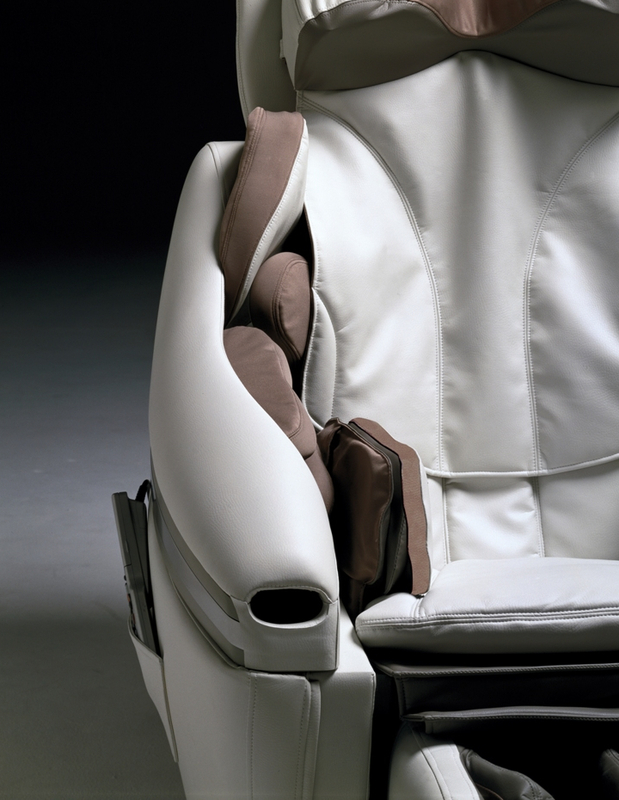 The airbag massage of 55 Shiatsu points distributed all over your body, ensures a delicate and thorough treatment. 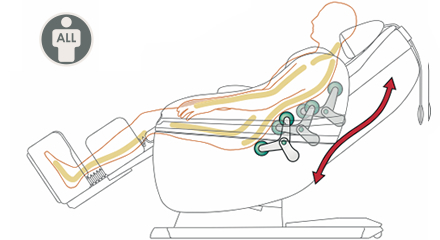 Basic massage program to reduce fatigue by massaging the whole body, using rollers and air pressure. This program helps reduce daily fatigue. Full body massage using exclusively airbags. It is recommended for people that do not appreciate the mechanic massage techniques. This massage program is recommended for persons who wish to relax. Activating this program after using any other function reinforces muscle balance. A much more delicate massage program, especially designed for young user (14+), allowing users to enjoy the therapeutic benefits on SOGNO, no matter their age. This low intensity massage program relieves muscle stiffness and reduces fatigue for young people with an alert life, without putting much pressure on the body. For the first time in the industry! This program extends the spine by using the full body extension function. Recommended for people who need to reinvigorate their body. 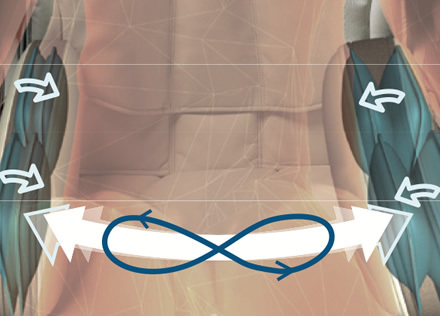 Shiatsu pressure points that differ from one person to another are automatically identified by INADA’s optic sensor. Before selecting a program, make yourself comfortable in your massage chair and relax. When selecting the desired program, Inada will scan your back and will compare your profile with the 106 profiles stored in its memory. 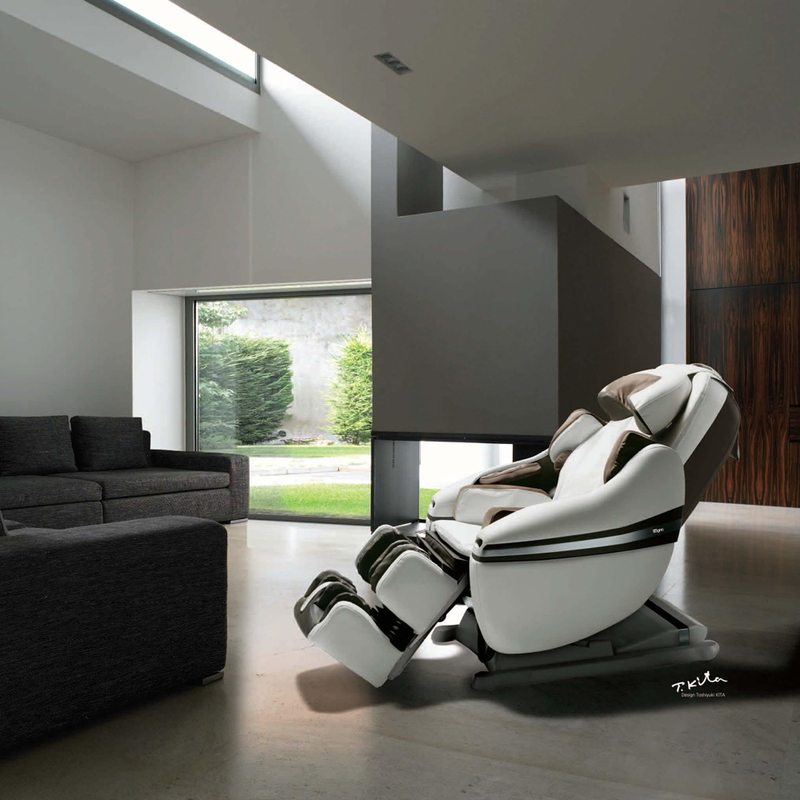 The massage chair will adjust to your body shape immediately to offer a personalized massage. Although Shiatsu points differ for each body structure, this massage chair automatically identifies them by using the optic sensor. Identifying Shiatsu points ensures a more comfortable and efficient massage. This automatic program offers quick massage for people who have little time in the morning or in the evening, or for people who need to relax for a few minutes. It is recommended for quick recovery from fatigue.. 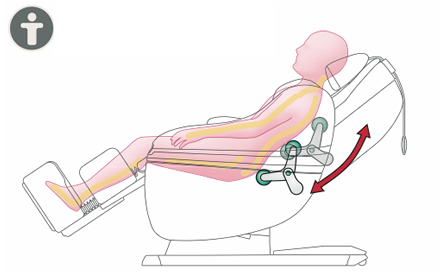 This automatic program uses the centripetal massage – a technique working its way from the exterior towards the centre. Recommended for people who have difficulties in waking up in the morning or feel tired after a day’s work. This is the invigorating program. Along with the automatic programs that can be selected with the help of the controller, Inada manual programming is available, allowing you to create hundreds of massage combinations and also to precisely adjust and personalize the massage type. Lifts the neck from both sides to massage muscles by stretching and kneading. 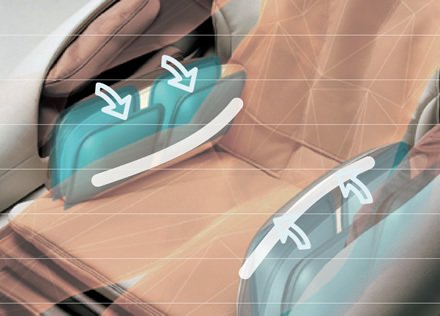 Incorporated airbags apply direct pressure on shoulder Shiatsu points, using firm air pressure to massage them and simulating human hand kneading. The rollers provide a deep massage when shoulder pads are lifted. 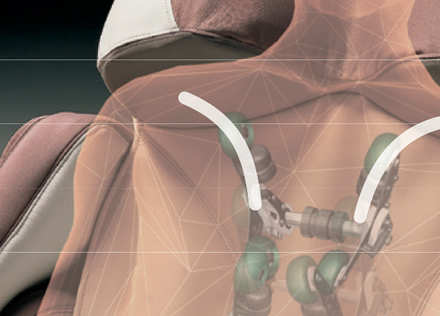 The arm airbag units provide a deep massage from the upper shoulder to the tips of your fingers. Your arms will feel invigorated and you will lose the fatigue sensation. 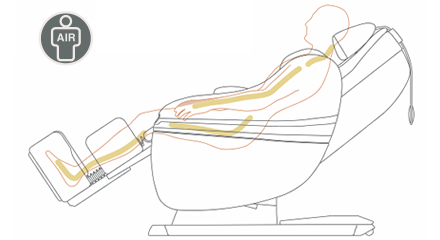 Through the unique massage functions of the INADA massage chair that provide circular kneading massage (Tapping/Rhythm Shiatsu, Hand Kneading/Double Kneading) we are getting closer and closer to the techniques used by professional massage therapists. This mechanism massages both sides of the pelvis reducing fatigue on hips and buttocks. Air pressure creates a swinging sensation to relax and massage your body, while the vibrations make for a comfortable stimulation. Air and rollers massage your muscles firmly. Rollers can reach very low areas on your back. Air Shiatsu massage for feet and soles. 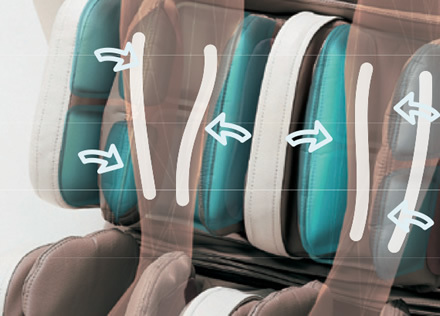 Airbags provide a firm massage for Shiatsu points to the back as well as the sides of your calves. Recommended to people who experience fatigue in this area after long periods of standing up. These roller mechanisms were designed to ensure comfortable and stimulating massage to muscle Shiatsu points, from neck and shoulders to lower back. Roller pressure is distributed between 4 points, offering a delicate kneading massage, with no excessive stimulation and without creating discomfort. By using the Ultra-Slow System for a delicate massage the result will be similar to a massage provided by an experienced massage therapist. Airbag pressure mobile mechanism. 3D Massage. 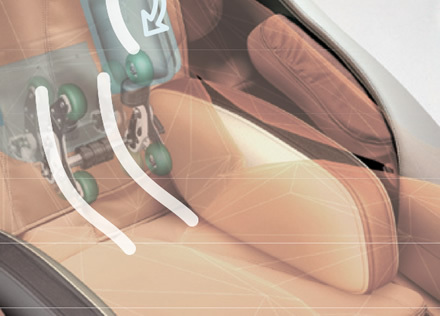 Using air to adjust roller pressure ensures a delicate and comfortable massage. Rollers lift approx. 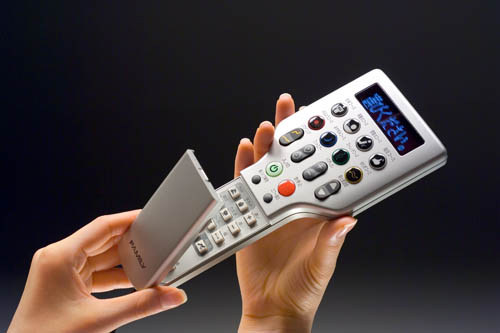 7 cm to provide a thorough back massage. Heaters for Back and Seat. The heating system emphasises massage efficiency, reducing cold sensation during winter or inside air conditioning cooled rooms during summer. 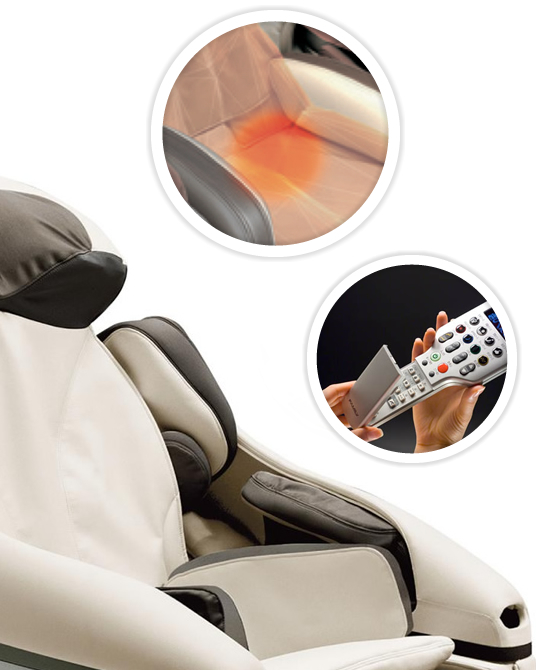 With this incorporated heating system, the Inada Dreamwave massage chair owns the best technology in the world, revolutionizing the entire massage chair market. Rollers cover an area of approximately 72 cm up-down, the upper roller’s lateral movement covering approximately 5-19 cm, and the lower roller approximately 9-16 cm. Roller movement allows for an adequate and efficient treatment for the muscle and Shiatsu points. 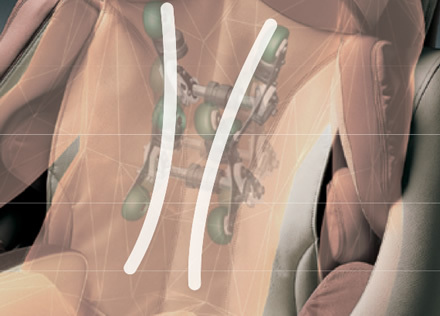 The delicate 8 shaped movement simulates techniques applied by massage therapists during Shiatsu massages. 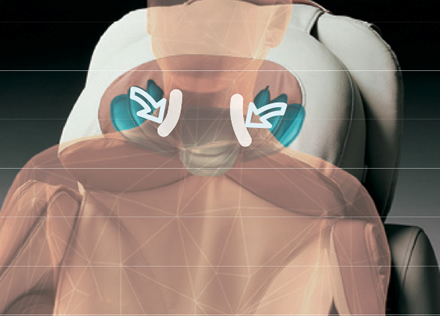 Patented function for massaging neck and shoulders – offers a profound massage on neck and shoulder and (extraordinary!) allows a delicate stretch of the neck. Through this Shiatsu unit, 20 air units provide a massage with successive, rhythmic and relaxing movements, designed to invigorate the entire arm, from the tip of your fingers to your shoulders. By applying a delicate profound pressure it has a relaxing effect on large muscles. This function provides the extension and flexion, as well as slight rotation for the shoulder, waist and hip. Chair Cover Ecological antibacterial leather. 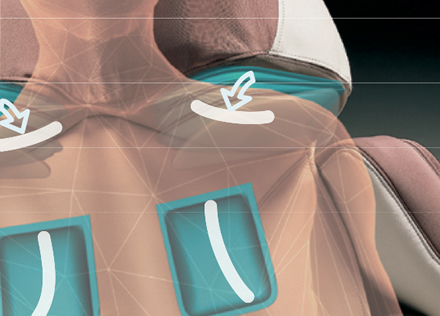 These Shiatsu shoulder pads allow for intense or delicate massage, to best suit your needs. 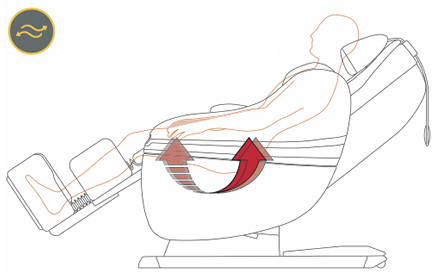 Adjust the intensity of the massage by placing the small or large buffer pad on the backrest. "Happy New Year! Wishing you good health, happiness, and success in the coming year and always. This is a very good massage chair. I am pleased." "Thank you for the confirmation. I will pay the difference, no problem. And you can be sure that I will recommend you, your company and your product. I am very happy!" "We have started using the chair. It is wonderful!!! We are very happy with the product. I must mention that your way of handling the customer and be in constant and prompt touch is really really appreciable. It is mainly because of your excellent salesmanship that we decided to buy it from your company. Please convey my appreciation of your services to your senior management. 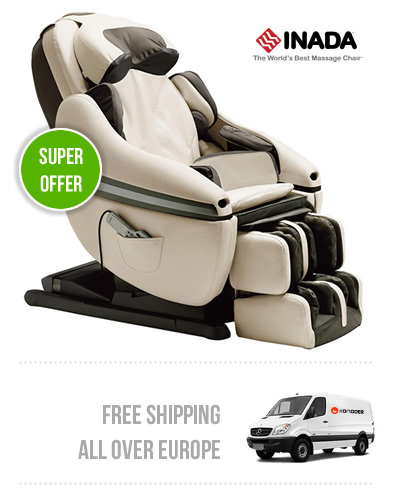 Also, if anybody wants to try the message chair before buying it, you can definately give our reference and we will be happy to entertain him. Once again with all the best wishes and appreciation. Please keep in touch."